Henry loves curious George. 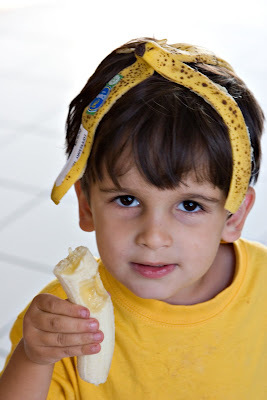 In one of the books, George eats a banana and puts the peel on his head like this and Henry has been asking to do it for weeks. Finally, the other day he was about to have a bath and we let him do it. He thought he was the coolest thing.